Freediving or Apnea is an exciting sport which is becoming very popular amongst travellers. The freedom of movement, the basic equipment, freedom of training at any time or any place, ... once you become a freediver you will quickly be tempted to train on your limits and get better. Whether you are a complete beginner or did some freediving before, you will be amazed of how much there is still to learn on the Padi freediver course. BB freedivers offer a special freedive package with training freediver and advanced freediver, yoga and accomodation for 6 nights, more info at our special trips page. The Padi Basic Freediver introduces the student to static freediving in confined water. The student freediver can prepare the theory through selfstudy with the padi touch ap. Then we will practise and train in our beach center where you will learn breathhold techniques, after some training on land you can start practising in the water from the beach or in the pool. The PADI Freediver is a two day course; you can prepare the theory through selfstudy with the padi touch ap which will be emailed to you. This way you can prepare all theory and watch the skills with videos and reviews. Once you have finished the theory and videos you are ready for action, we will train in our beach center where you will learn more about relaxation and breathing techniques, followed by confined water training in static and dynamic apnea from the beach or in the pool. You will find out all there is to know about the freediving equipment, safety regulations, specialised breathing and the physics & physiology of freediving. You will be amazed of your progres and feel ready for a breathold of 2 minutes with ease. On your second trainings day we'll take you out to practise your new freediving skills in open water, after this training day you will be able to freedive between 10 to 16 meters. The course will continue the journey, focusing even more on your own breatholding time and the more athletic part of the freediving sport. 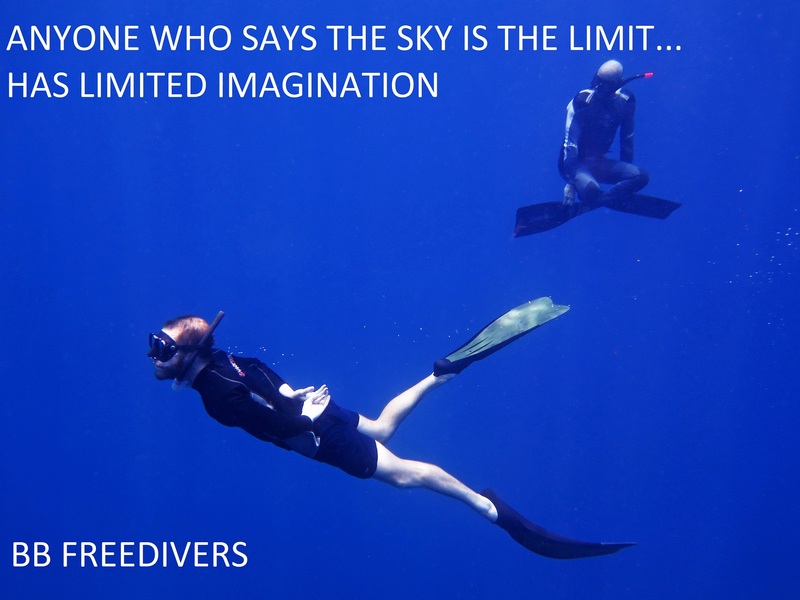 The advanced freediver will help you to push your limits to longer and deeper dives, allowing you to come closer to underwater marine life and create an even stronger connection between body, mind and environment. Many triinees who start the first level continue to become an advanced freediver. * Prerequisite to do this course is a PADI Freediver + Advanced Freediver course certificate or qualifying certification from another training organisation and a valid EFR certificate (first emergency responder). If you are not a first responder yet you can take this one day course first.